Ships from Hong Kong. It has a patented "catch all" pocket that prevents messes and unsnaps and wipes off easily for quick clean up anywhere. 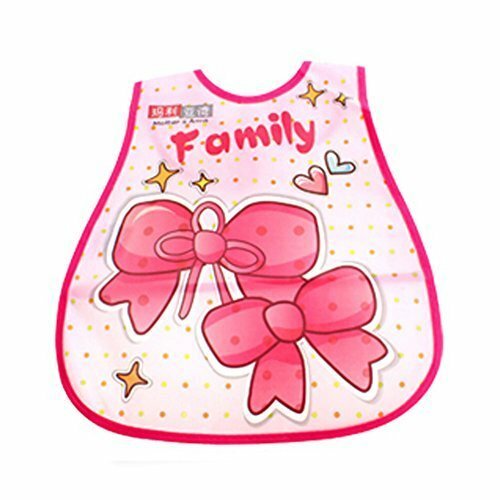 Lovely cartoon PVC waterproof baby bib, 80% EVA+ 20% PE. Size: 45*28*9 CM, 17.7*11*3.5".